From architecture to art galleries, boutiques to B&Bs, cafés to community cinemas – whether you’ve lived here for fifty years or stepped off the train five minutes ago, discover something new in this iconic city. 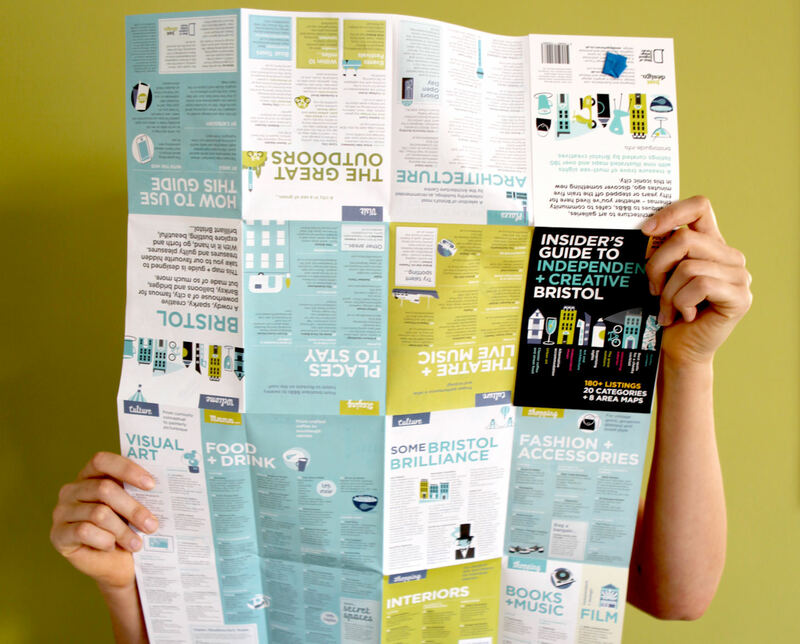 The guide has been curated by members of the West of England Design Forum, who have collected together some of Bristol’s best independent and creative shops, eateries, sights, art, architecture, accommodation and much more. 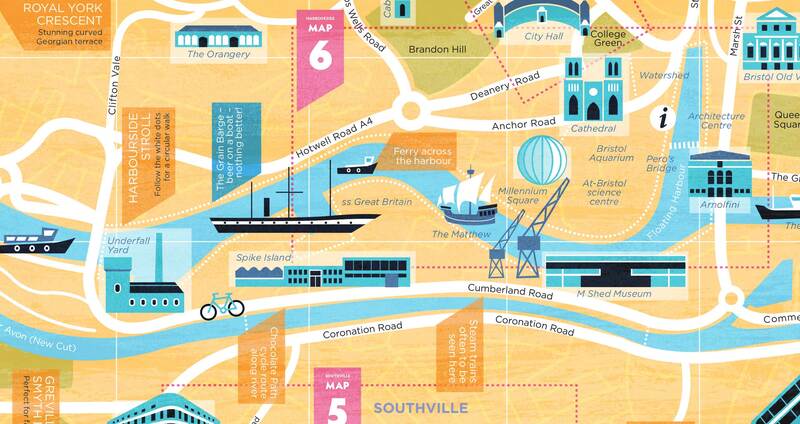 It is illustrated by Bristol-based graphic design agency Marles+Barclay and divided by area to make exploring the city as easy as possible. Whether a day-tripper or holidaymaker, born and bred Bristolian or recent resident, there’s something new for everyone to discover in the Insider’s Guide. It features more than 180 listings of creative, independent and curious spots in Bristol, divided into 20 categories, each with handpicked recommendations, and accompanied by 8 illustrated area maps to explore. 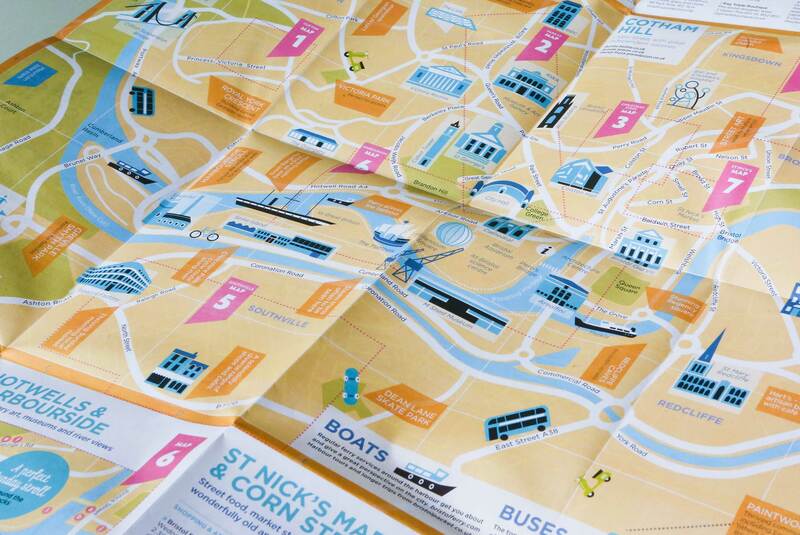 We’re thrilled that our printed, fold-out map + guide for sale in shops and attractions in and around Bristol from April 2016. With no advertising or paid for listings, it offers a truly independent guide to the city. For more information, check-out bris​tol​guide​.info.